Do you know where you really are in your Agile Transformation? Within our Agile Practice, we start all of our client engagements with the Enterprise Agility Maturity Matrix. The benefit of utilizing this diagnostic tool is that it provides us with a clear view into the existing environment to determine where exactly a company is in its agile journey. 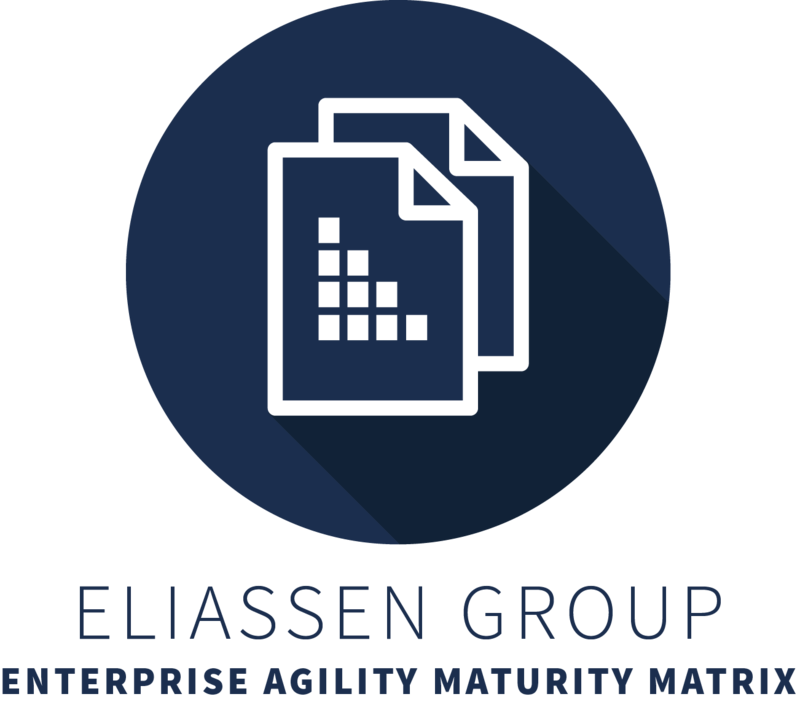 What exactly is the Eliassen Enterprise Agility Maturity Matrix? Impeded: This category means that progress towards Agility is being held back. In Transition: There is movement being seen in the transformation but there is a risk that it may fall back as the movement is not always forwards - often two steps forwards, one back. Also Agile practices are not integrated into team/organization standards or the culture. Sustainable: The Agile practices are now somewhat being used as part of organizational standards and culture. The view is that they will continue to be used but perhaps some of the most difficult functional areas or disciplines such as planning are lagging. Agile: The appropriate practices and behaviors are in place. There are specific goals and the understanding is that the product is “shippable” at the end of an iteration. Ideal: This is genuine understanding and practice. There may be ongoing standups, everyone knows all of the information on the dashboard, and team members are talking every day. There are many indicators of agility. Practices that include standups and retrospectives would be a key indicator of some level of enterprise Agility. If you are engaged in these activities your organization is likely “Agile” or on a path to it. Looking at the team and organizational levels. At the team level, you look at things like organizational support: team dynamics, structure, product, process mechanics, and engineering practices. At the organizational level, you’re thinking about: structure, funding, metrics, tools and technology, compensation, management, business and IT interaction. As you can see, this matrix can be a very useful tool to track progress toward your agile goals and can be used at multiple levels: the organization, division, and team-by-team. You might even consider using your agile transformation as a project with the Enterprise Agility Maturity Matrix to monitor your project. It also works with all agile methodologies. Are you ready to get started? Download the organization and team editions below! And feel free to reach out to us with any questions about the matrix: agileinfo@eliassen.com. Eliassen Group delivers strategic consulting and talent solutions that fuel your innovation and business results. We partner with you to marry your business objectives with our expertise, empowering your company to execute business strategy and scale your business effectively and efficiently. Where many consulting and talent solutions providers are focused on “the transaction," we believe in establishing and maintaining long-term partnerships so that we can meet your strategic needs and enable your organization to glean greater business value over time.